The waves on the EAST COAST are much larger than those found on the South and West Coast due to the fact that most of the beaches are exposed to the Atlantic. You need to be a stronger swimmer to take account of the larger waves. 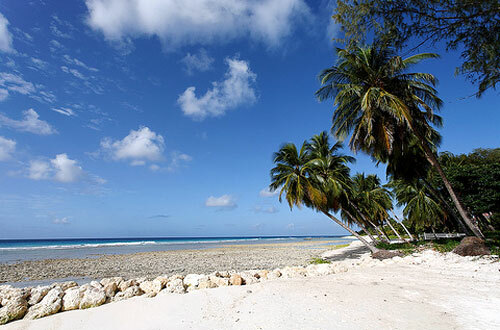 This coast has some of the most stunning beaches in Barbados. These two beaches are beautiful and whilst the sea appears quite inviting, bathers should watch out for strong under currents especially since there are no lifeguards on duty. Many body surfing competitions are held here. Sit in the rock pools where the water tends to be warmer and watch the mists in the distance that blow in from the sea. The Round House at the top of the hill provides pub type food and rum punches and excellent views of the beach and sea. The Cove Restaurant in Cattlewash also serves an enjoyable lunch. These locations are excellent for photos and picnics. The beach at Tent Bay is also worth visiting. Swimming here is safe due to the large off shore reef. 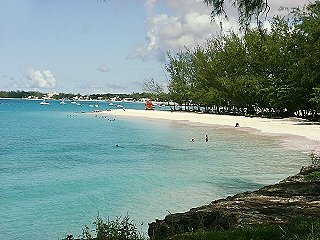 This is a popular picnic spot with Bajans because there is a lot of shade, a pleasant breeze, a small playground and public facilities. Other beaches and bays include Consett Bay, Long Bay (Sam Lord’s Castle Beach) which is very secluded with medium to large waves and lots of undertow and strong currents, but excellent for photos. 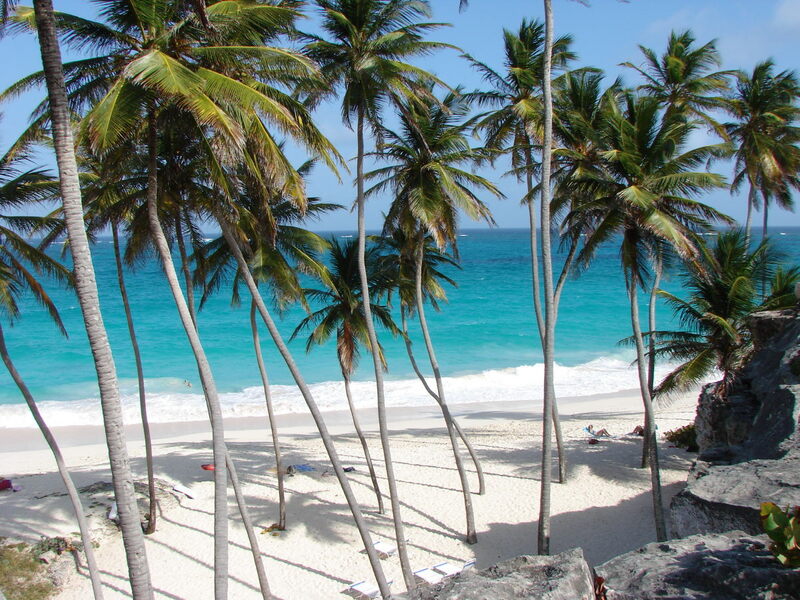 Bottom Bay is the picture perfect beach with coconut trees, cliffs, soft white sand, brisk breezes and turquoise seas. It even has a cave. It is an excellent picnic area and as you first drive down the hill, it has the most incredible view. Harrismith has much less beach but has a shallow lagoon for a calm dip at low tide. 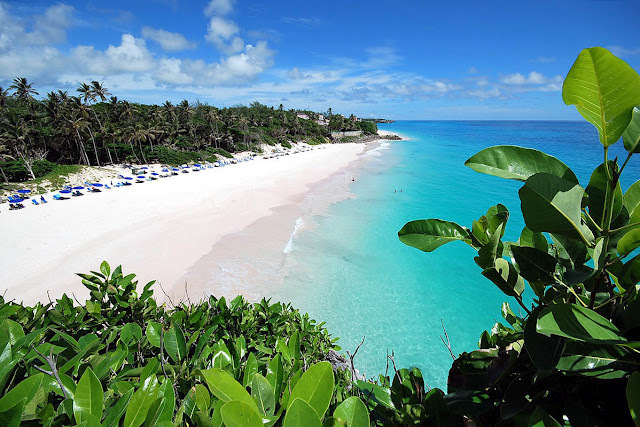 Recognized as one of the very best beaches in the world with sand that is pink in places. 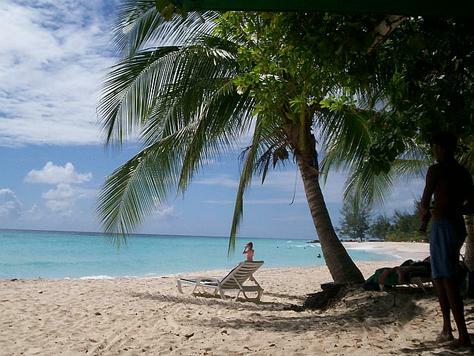 It is simply stunning and one of my favourite beaches in Barbados. There are boogie boards, umbrellas and beach chairs for rent. One can get to the beach via the Crane and down a glass escalator or stairs. If you wish for a picnic lunch you can order one at Cutters, a Bajan deli. Try the ham sandwiches. 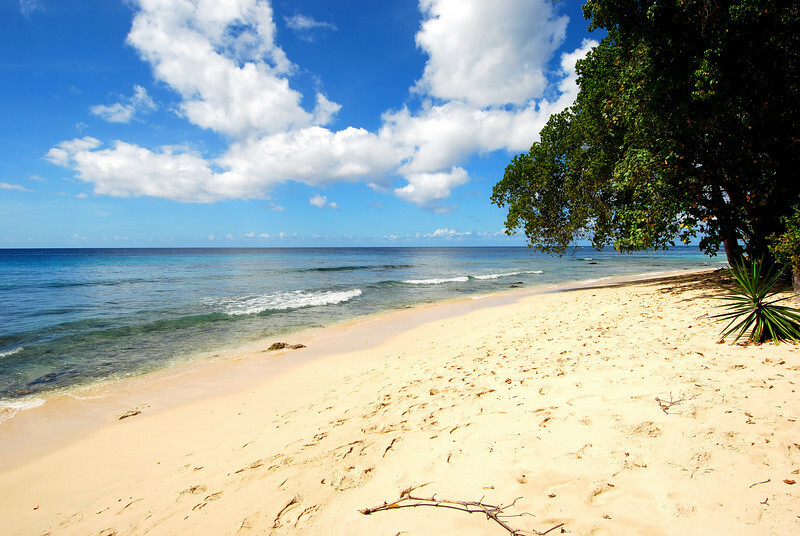 The beach has a gentle descent from shallow to deep, its also soft on your feet and you might see sea turtles swimming along the outer perimeters. 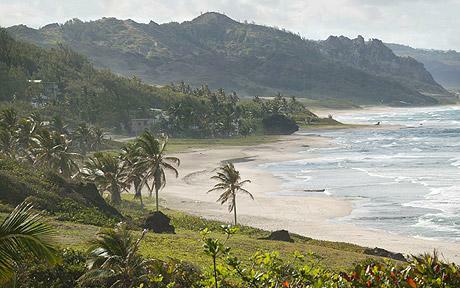 This is a long wide beach on a ruggedly attractive stretch of relatively undeveloped coastline. Care should be taken here when swimming since the waves are big and break onshore. There are some nice shady areas with picnic tables and benches. 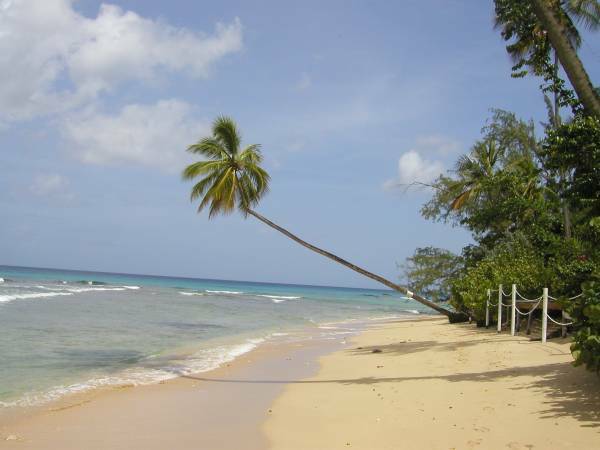 Other beaches include; Ginger Bay, Ragged Point / East Point, Skeetes Bay. The beaches on the WEST COAST are characterized by having warm, calm waves, which makes them ideal for families with young children. If your Barbados Holidays take you to the West Coast then there are lots of water sports including snorkelling, jet skis, pedal boats, ocean trampolines and sailing. One word of caution, take care not to touch the fruit of the poisonous manchineel trees (usually marked with a red ring around the trunk) and the yellow-green “apples” found along many of the west coast beaches. Just past the northern end of Spring Garden Highway, there is public access to this superb beach with parking, shade and great swimming. It is ideal for picnics and for relaxing and taking photos. Brighton Beach where day passes are available for tours of the Rum distillery, has beach chairs and umbrellas, lunch and drinks as well as lots of watersports. This beach runs all the way to Bridgetown, however a word of caution since the area is known as the “hot spot” where warm water from the distillery flows into the sea, causing dangerous currents. There is no shortage of places for lunch here. Upmarket restaurants include the Tides and the Sandpiper Inn is good. Flindt’s does good sandwiches and take away food. 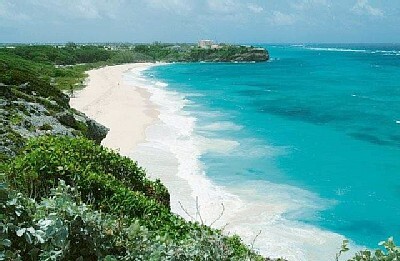 A beautiful white sandy beach, ideal for swimming and snorkeling with turtles, however it can be a bit crowded at times. 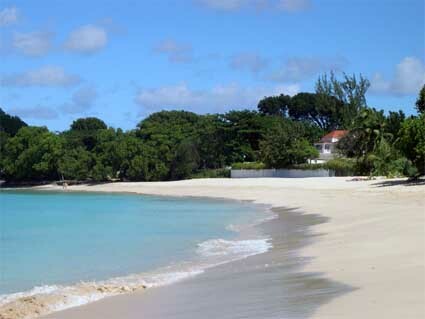 There is a public access between the Sands and Sandy Lane with limited roadside parking. 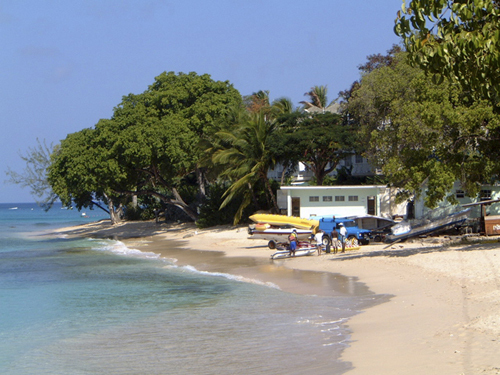 Cold drinks are sold in Paynes Bay and chairs are available for rent. Great for photos of the sunset. 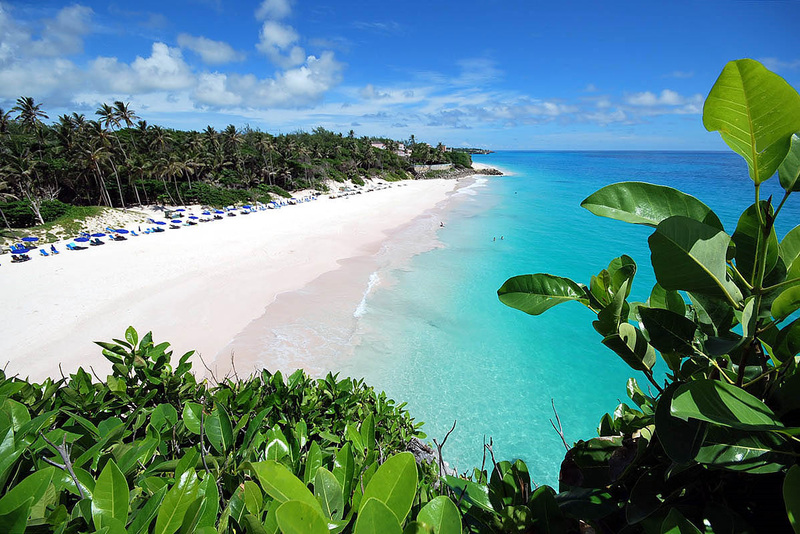 The following beaches make up a magnificent stretch of beach with glassy, turquoise water. They waters are good for snorkeling and there are a variety of water sports on offer. Bar offers service right to your beach chair. At the southern end of the beach there is a good area for picnics. Neither beach chairs for rent nor refreshments for sale but excellent swimming. Gibbs is a popular spot for sailing boats. The best parking with chairs for rent and refreshments on sale. Near Carlton in St Peter is a lovely stretch of sand with several paths through which you can gain access. For an economical bite is a bar called Juju’s or there is the more upmarket Lone Star restaurant. Its best to take your own deck chairs or use your towel. On the SOUTH COAST, the beaches have slightly larger waves than those found on the West coast, however they are smaller than on the East Coast. 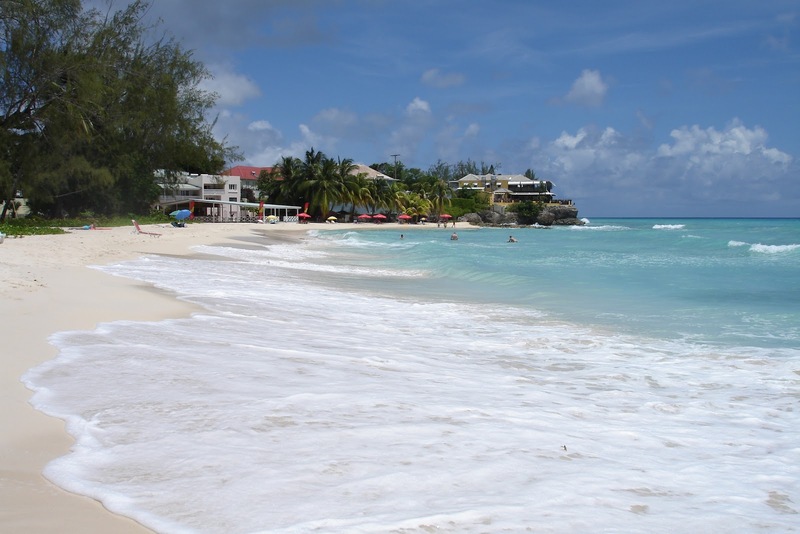 The beaches here tend to be popular with locals on weekends, particularly on Sundays. 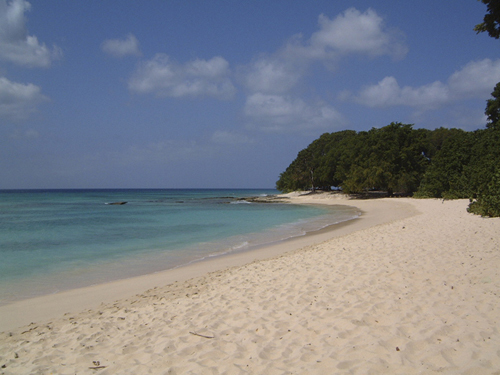 This is one of the most popular beaches on the island especially for locals on a Sunday. It has excellent swimming and lots of activity especially on weekends. It’s good for body surfing and people watching. There are boogie boards and beach chairs for rent and a number of beach stalls selling hot food, clothing and souvenirs. Lifeguards are on duty and there are several restaurants nearby including Fusion (Sushi / Asian), Bert’s (pub food / sports) and Tapas. 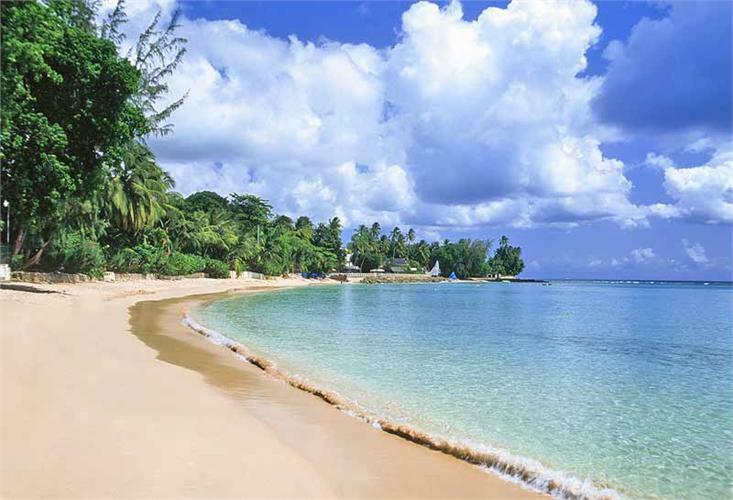 These are beautiful beaches with good swimming conditions on either side of the St Laurence Gap. Kayaks, lounge chairs and umbrellas are available for rental at Dover with Charles Watersports. 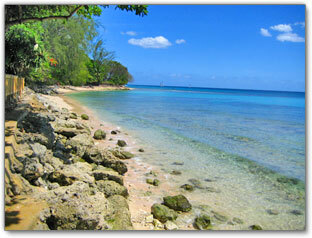 Sandy Beach is great for families with young children because of the shallow, calm water and picturesque lagoon. 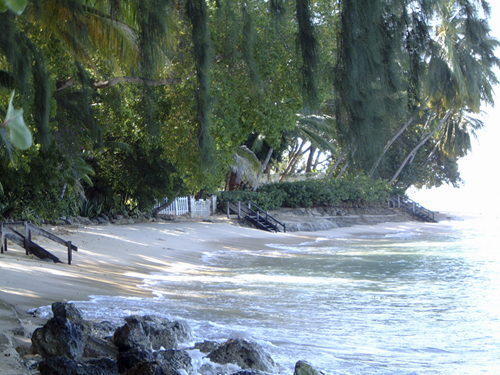 Beach chairs, umbrellas and towels are available for rent from “Spock” who hangs out near the Carib Beach Bar. With the new boardwalk between Accra and Hastings, it is now possible to walk from Accra to Needham’s point where the Hilton Barbados is located. 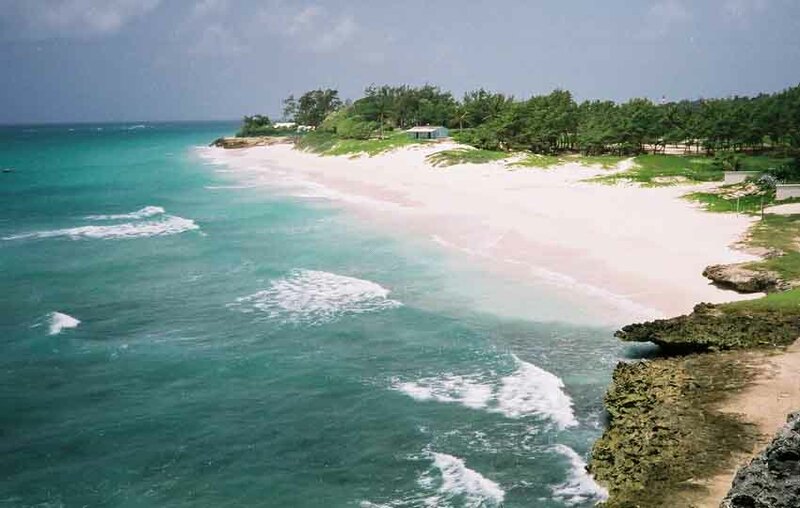 Near to Oistins, this is a beautiful beach with crystal clear waters and like Accra, popular on weekends. The Mr. Delicious Canteen sells cold drinks including rum punch and tasty Bajan “sandwiches” called fish cutters. Café Luna offers excellent lunches and diners at the Little Arches Hotel. The ideal beach for windsurfing and kite surfing and where many international events are held due to due to the perfect wind and wave conditions. The DeAction Shop run by world ranked windsurfer Brian Talma, can be found near Silver Rock beach where one can take lessons and buy or rent windurfing and kitesurfing equipment for sale or rental. Golden Sands, which has small to medium waves with some undertow. 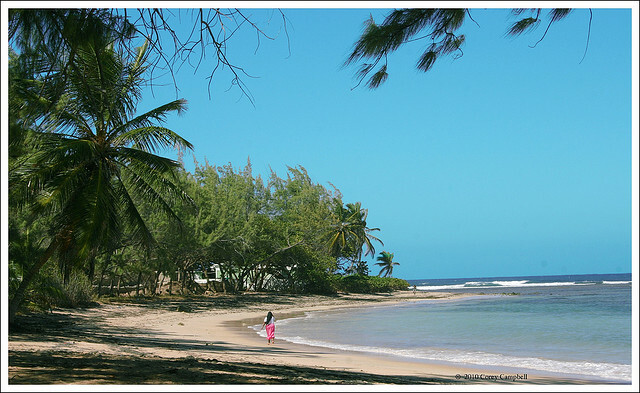 Dover Beach, Golden Sands, Greaves End / Drill Hall, Long Beach (Great for windsurfing and kite boarding. South Point. St Lawrence Bay. Welches Beach. Worthing / Sandy Beach. 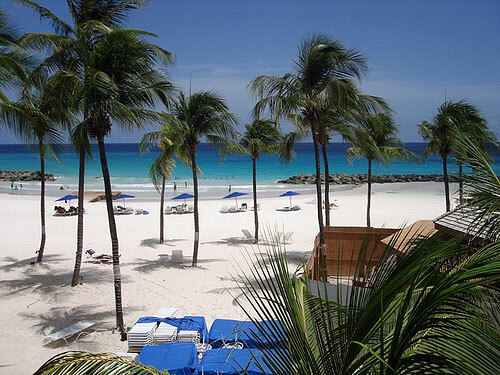 Carlisle Bay has a spectacular crescent shaped bay extending over a mile from the capital, Bridgetown to the Hilton Hotel with a wide beach and beautiful calm water. Food, drinks, parking, beach umbrellas and deck chairs are available at the famous Boatyard, Harbour Lights and Lobster Alive restaurant and the Bayshore complex. There is good snorkeling and excellent scuba diving. Do ensure that boats and jet skis can see you by having a colourful marker. Hazels’ Waterworld at the Boat Yard sells good quality snorkeling gear. 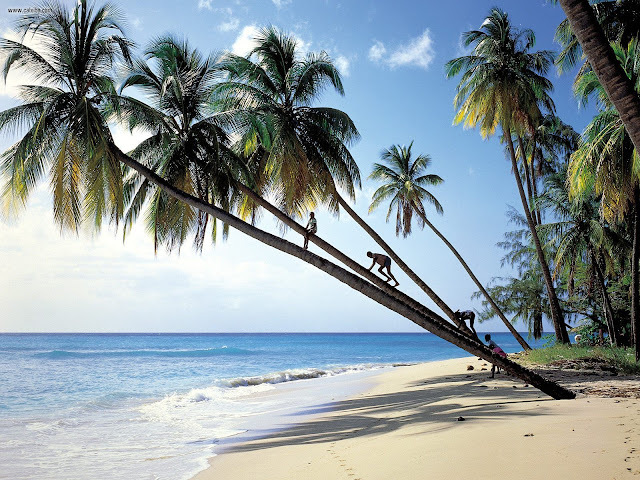 If you would like to find out more about what to do in Barbados, visit HANDPICKED VILLAS.